Jared Unzipped: Shall We Play A Game? No sentient computers hell-bent on world destruction were harmed in the composition of this blog. Today's article is really more of an open dialogue for the friends and family in my life. I have an idea to run by you. Perhaps you'll like it, perhaps you won't. Either way, your feedback is encouraged. 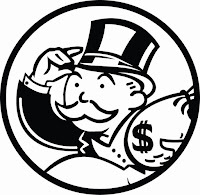 What if we had an all-day Monopoly tournament? My siblings will remember our rousing games of Monopoly when we were young. I can recall just how often Josh seemed to win -- he has a knack for slinging real estate and making deals. Why not continue the tradition? The deluxe edition of Monopoly can accommodate up to ten players. Should we have more than ten people participating, teams could be drawn. There would be no actual money involved -- we would play for glory. 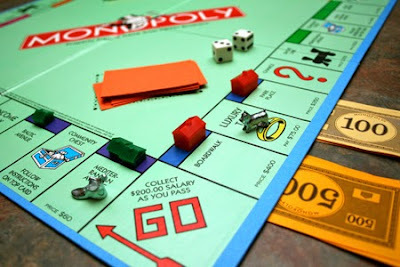 Because Monopoly has the potential to go on for a long time, we can set a time limit. Should more then one player or team still be solvent upon reaching the time limit, play will stop. Those players/teams will tally up their total assets, with the champion having the highest value. Best of all, a trophy will be awarded to the victor. You'll have a whole year of bragging rights. So, what do you think? Good idea? Have a different game in mind? Bounce some ideas off of me.